Welcome to Moen Brothers Plumbing & Drain. We are your premier (Fort Myers, San Carlos Park, Estero, Bonita Springs, Naples) plumber. We have all chose a company in the past who charged a fee for coming to our door. We know these service charges can make it difficult to obtain a second opinion. They can also make you feel obligated to accept an estimate. That’s why we offer 100% no obligation free estimates and upfront pricing. You can rest assured knowing your free estimate call to the Moen Brothers will only cost you your time, not your money. Our upfront pricing lets you know what our plumbing service or drain cleaning service will cost before the work begins. If you accept our free estimate, the work will begin at the agreed upon price. We are a licensed and insured (Ft. Myers, San Carlos Park, Estero, Bonita Springs, Naples) plumber. Moen Brothers is a veteran owned and operated company you can trust to be honest,dependable and affordable. Our expert plumbing service and clogged drain cleaning service is available 24 hours a day to serve you when you need us most.Frustrated by getting the other companies answering machine or answering service after hours or weekends? An emergency plumber can be hard to find. 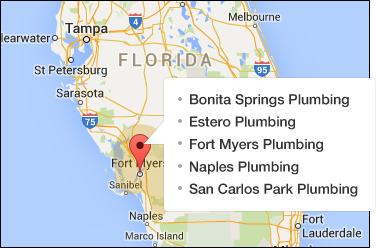 Call us at any hour and speak with a (Ft. Myers, San Carlos Park, Estero, Bonita Springs, Naples) plumber now.